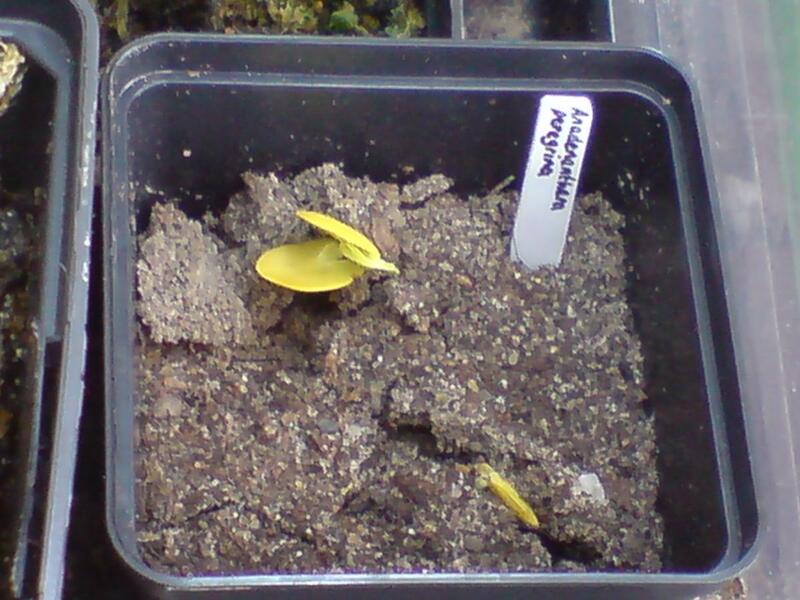 Best way to grow Anadenanthera C. from seed? I grow some spirit plants myself (Caapi, Psychotria, Brugsmansia, Iboga), although none of them are very old except the Brugsmansias. I want to add Anadenanthera to that list but am not very confident with my growing skills as of yet. I have ordered a number of seeds and was wondering if anyone with experience growing this species has any advice for me. 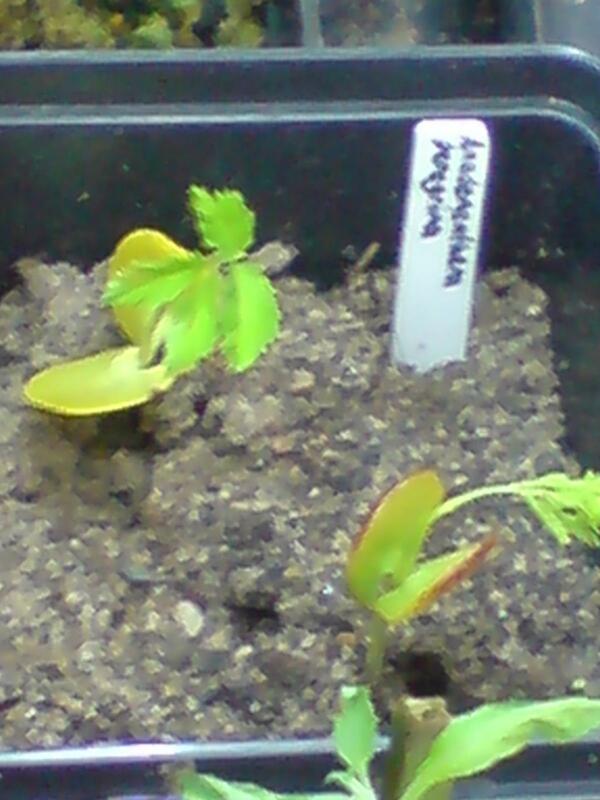 Anadenanthera, is a very easy and fast seed to germinate, no skill is needed. viable seed, will form root within hours of sowing out. 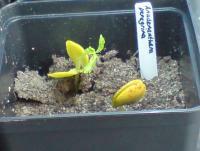 place seeds on the side, cover with potting mix, and put somewhere very warm, use a dome. I've also had success with germination, but have found that even in low-humidity ambient air, the beginning stages of the sprout are crucial in that they are prone to rot with too much water. I wish you well with your plants! I planted 5 in one pot yesterday:) I will lightly water them now (just to wet the surface a bit) and take them out of the sun. I will be wise about the watering. Hey PH have you had much luck with soaking the seeds overnight or not needed you think? 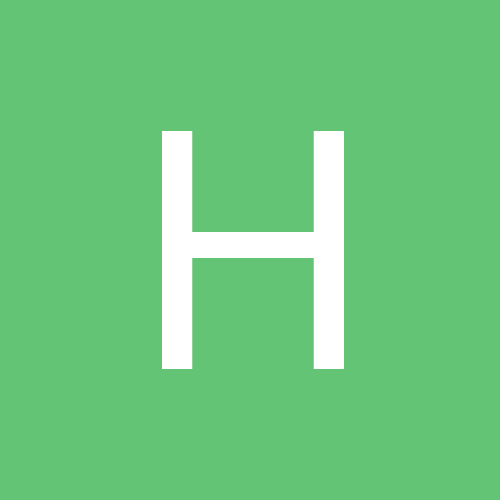 Instead of starting a new thread ill just ask here, When is the best time to harvest pods/seed? Have pods on my tree atm and looks like they are starting to dry out (slowly) should i wait till they dry on the tree or pull of and dry etc? 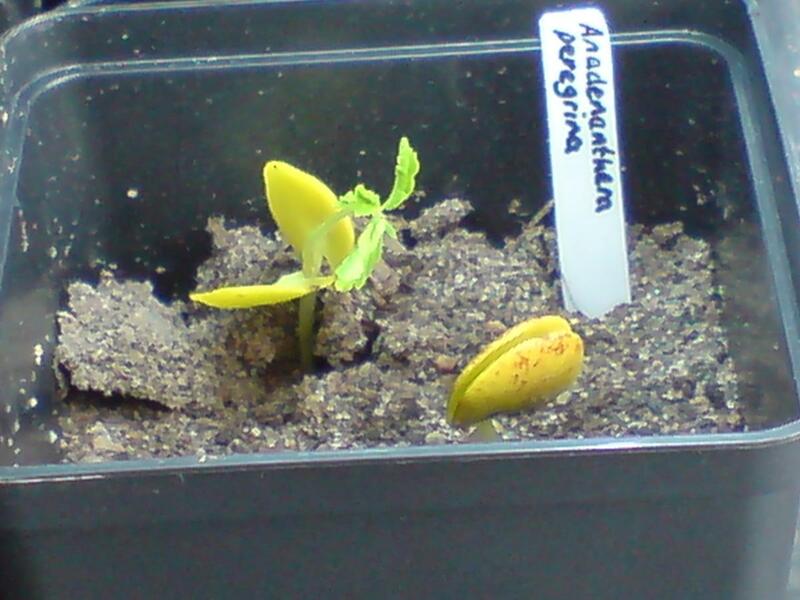 I have found that seeds harvested off the ground have a very high germination rate. 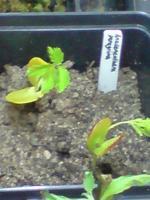 as toast say's those buggers self seed, with ease (I have erraticated my trees now). I would wait till the pod is brown and dry, and just starts to open up. some borers destroyed 85% of my seeds. no soaking needed if seed fresh, older or poorly stored seeds, will benefit from soaking in water, but make sure, this happens in a very warm place. 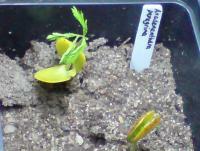 this is the fastest germinating seed, I ever observed, the root came out after only a few hours!!! Ill keep an eye on the pods probably be ready in a month or two ( rough guess ) i will propagate them asap and most probably have some small plants for sale early next year sometime. Really like the flowers and scent when in bloom. yt, I found the timber as well amazing, as well I used to coppice the trees and as such was rewarded, with straight strong, but flexible walking sticks. if you loved sticks as a lil boy, you will love those sticks! i have found colubrina super easy to grow, but have not had any luck with peregrina using the same methods... the seeds i tried were supposed to have been fresh, should i treat them any differently to colubrina? I don't remember where I got my seeds from originaly, but one tree displayed warty lumps, but the other one elevated fissures!! maybe the seeds were collected from various trees. 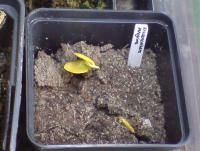 careful with germination, every lot i have tried have died from fungi, trying to keep them humid here in the cold. thanks guys, no frost where I live, almost prime conditions here, infact some very small cebil seedlings have done very well over winter. I think the peregrina seeds I have were from an immature tree, i think the trees first seed pod, do you think that would affect their viability?? because flowering and setting fruits, are what defines, a plant to have become mature. it's said that with some plants the first seeds produced might not be viable, but I highly doubt this is the case here. most likely the seedpod itself was picked too early and as such was I n ma t u r e.
colubrina seeds (and peregrina most likely as well) will change there color from brown to almost black, once they mature, as well fully ripe seeds, will display a certain shiny gloss. only use fat heavy, glossy seeds for probagation. I never observed fungus issues ever, maybe the seeds came already with the fungus, and were not dried proper after harveresting. 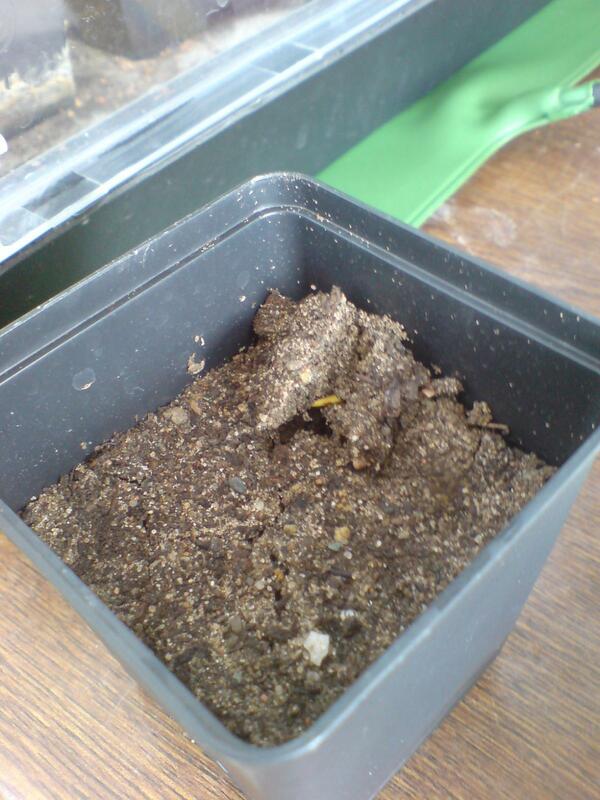 i had no fungus growth on the seeds, they just didnt do anything. and they were nice and black n glossy as my cebils were, i will try again, i have 2 more which i will germinate if they were meant to!! Anybody still available to answer ? ?s on A. colubrina? Like what constitutes a 'fat' seed? The 'fresh' ones I was sold as 'fresh' a few weeks ago are a far cry from 'fat'. They'd more likely qualify as 'flat' . Yeah, they do swell up quickly, but they're pretty pathetic otherwise. Once they've swelled, should they dry, they shrivel to next to nothing. 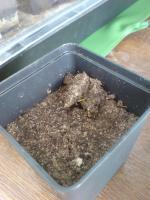 All my efforts are using a heat pad under a dome & a scant amount of moisture in potting sand. Seed death trip so far. p.s. welcome to SAB ! Hiaint, .........you made it here! No luck on those seeds here either, however, they were appreciated as were all seeds/plants you sent.